Before I jump into the wild and exciting times of travel in Ecuador, I wanted to take a moment to reflect on why there's no place like home. And by home, I don't mean my affair with the Latin American city of Medellin, I mean New York. 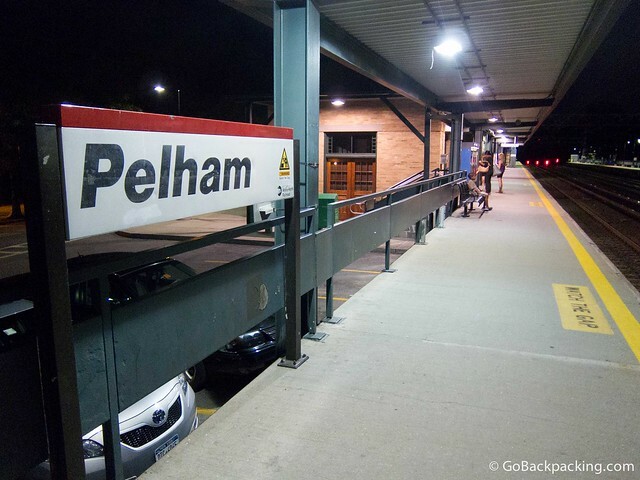 The state where I was born, the small suburban town of Pelham where I spent my first 10 years on the planet, and the Big Apple, which I've returned to almost yearly as an adult. Earlier this month I went back for a family wedding, which gave me an opportunity to not only couchsurf with my brother in Manhattan again (thanks Jon! ), but to go to a Yankees game with my parents like we did when I was a kid. And the wedding was held in Pelham, so when my brother and I arrived by train a few hours early, I suggested we walk by our old house. Memories came back with every step: the daily walk to school, playing with friends, curfews that always seemed to early. While I'd been growing up and traveling the world, it appeared very little had changed in the last 25 years. The old homes on our block look just as they did when I was a kid running around having acorn-throwing fights. Somehow, the whole neighborhood seems to have shrunken down from what I remembered. I guess that change in perspective is normal when you're literally twice as tall as before. Our Tudor house looks exactly the same, even down to the landscaping, and giant oak trees looming overhead. We continued walking down to the main strip, past a plethora of pizza joints, and the store which use to be a candy shop where I'd spend my allowance every chance I'd get. We then walked a few blocks to the church for an intimate ceremony, followed by a reception at a nearby restaurant. As much fun as it can be to hang out with an international contingency of friends and bloggers, there was a warmth to being surrounded by family for a few days in the place where I grew up. It reminded me that wherever I go or live in the world, there's no place like home. And home for me will always be New York. Sounds like it was a tranquil and romantic (for lack of a better word) experience. I love visiting places I used to live and play. Do you usually return to NY for the holiday season or does it change year to year? It changes year to year, as normally me and my brother go to wherever my parents are living. They just moved to Florida after close to 20 years in northern Virginia, so future trips to NYC are to visit my brother and friends. I imagine Christmas in Florida will have a whole different feel to it. Well, as a Floridian who hasn’t had a Christmas outside of Florida since I was seven (I’m 27 now) I’d definitely say I wouldn’t have it any other way. And I might be giving up some of my man cred here, but the winters in Florida have been getting too cold in the last few years. I’m sure you’ll be sweating bullets here, while I’ll be freezing. Some great nostalgia. I had the exact same “shrinking” experience when i visited my old city. Sounds like you had a happy childhood if they are happy memories. Hey Tyler, good to know it’s not just me! Yeah, Pelham was an idyllic little town to grow up in. That is so true – there is no place like home! For our family living in a Motorhome – there is no place like where are family is!!! What a great idea – couch surfing and walking around your town. I visited a place once (where I grew up) and it also looked a lot smaller then I remembered and really run down!! When I was writing this, I also thought about coming at it from the angle that home is where my parents/family are, but the truth is I still feel like my roots are in New York.